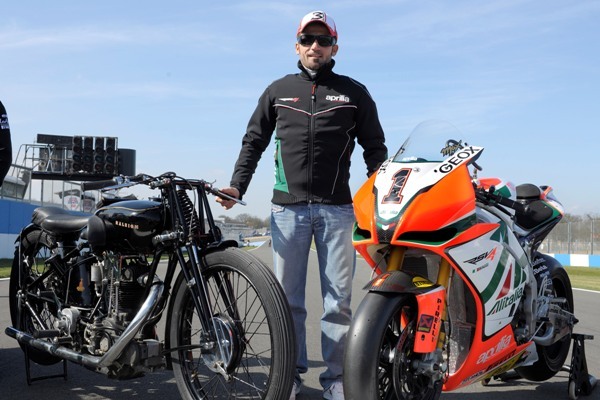 Max Biaggi – I’ve been a fan since watching his amazing exploits on the Aprilia two stroke. 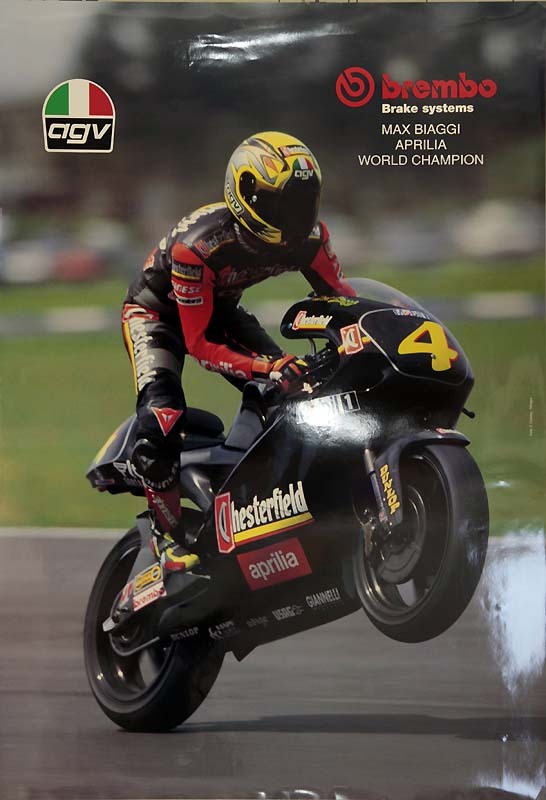 When he came to 500’s his team boss told him before his first race to go out and show them who was the ‘true champion’, and despite being on a privateer machine, he did just that, winning the race. I came across these comments about Max on another site and have played with them a bit, but largely reproduce unchanged. One thing is certain about Max, and like the great Hailwood, he is fast on any motorcycle he rides, unlike a certain other Italian who only seems to be able to go fast when he’s on the best bike.